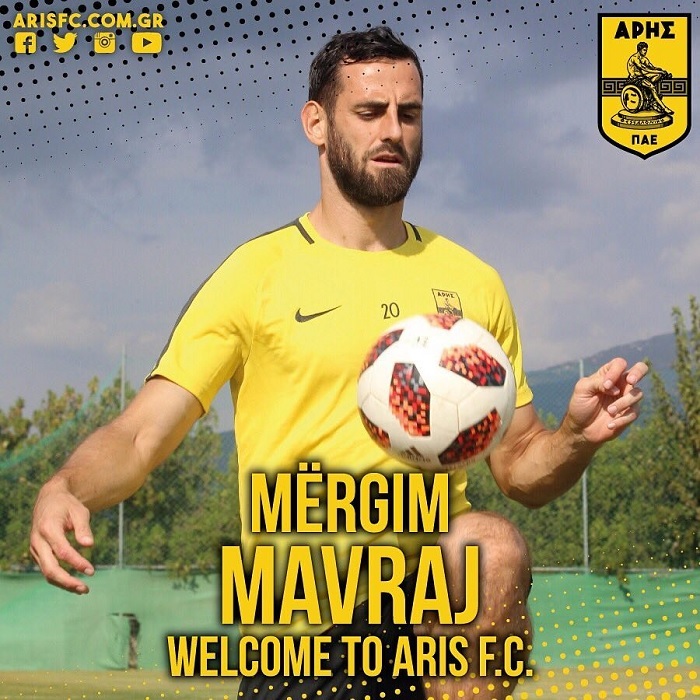 Mërgim Mavraj started very well his adventure in Greece, as he scored a goal yesterday in the victory 6-1 that Aris won against PAO Koufalias. Although it was a friendly match, where the coach wanted to see the situation of some players who did not have enough minutes, Mavraj made a good appearance. In Greece, Migjen Basha's approach and Mërgim Mavre are reported as qualitative. If the midfielder has been in the field in the first three matches of the championship, the defender has followed the last match on the VIP tribune with President of Aris. "Wonderful fans and special atmosphere. I do not want to wait long, but I'm ready to go down to the field," said Mavraj. While the Greek media say: "He has come to help the team in the field and not to enjoy the president's suit by following the matches. It is to be appreciated his readiness to debut as soon as possible. Really madness!"